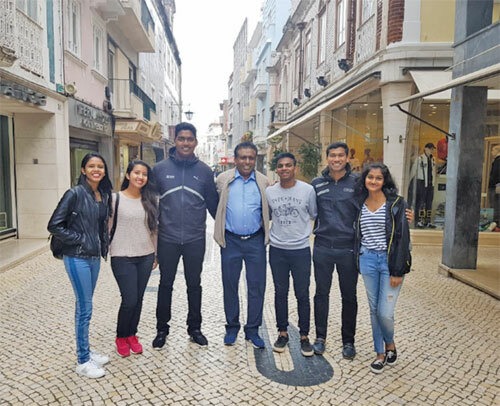 International Hospitality Education (VMSIIHE) have embarked on a journey to Portugal on a six month paid internship. The students from VMSIIHE who headed to Portugal recently are interning at hotels like The Lake Resort & Spa, Algarve, Vilalara Thalassa Resort, Algarve and Troia Design Hotel, Troia all managed by the Blue & Green Hotels & Resorts, Portugal; Praia d’El Rey Marriott Golf & Beach Resort, Obidos, Portugal, and Pine Cliff Portugal, Algarve. The initiative stems from a MOU signed by the institute with Turismo de Portugal in the presence of Prime Minister of Portugal António Costa, when he was in Goa on a state visit last year. Professor Irfan Mirza, Director of VMSalgaocar Institute of International Hospitality Education led the efforts in forging a collaboration between the two nations. The knowledge exchange programme between the two countries has seen a collaborative effort in the fields of research, trainings, teaching-learning methods and other aspects over the past year. The internship program is one of many such initiatives.